This recipe takes my favorite mac and cheese to a whole new level. Instead of pasta, it uses quinoa which adds protein and cuts back on the carbs. Adding the spinach adds a little vegetable to the dish making it that much more healthy! This recipe has been added to my list of favorite comfort foods! Preheat oven to 350°F. Prepare a casserole dish with non-stick cooking spray. In a sauce pan over medium heat, add 3 tablespoons of butter and the shallot. Cook until the shallot is slightly soft then whisk in flour. Continue to whisk until a paste forms and becomes light golden in color. Whisk in the milk and increase the heat to medium-high. Bring to a boil while whisking. Stir in nutmeg and salt along with the cheddar cheese. When the cheese sauce is smooth, remove from heat. 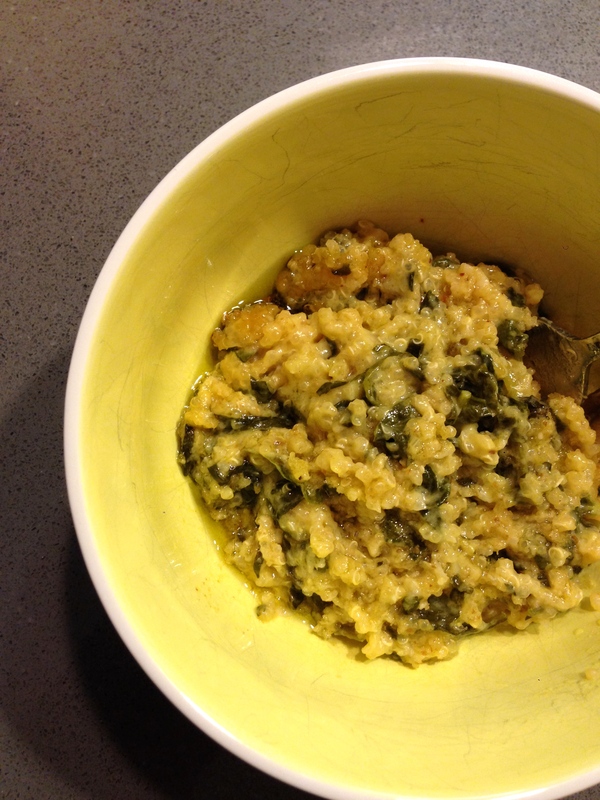 In a large bowl, mix cooked quinoa, cheese sauce, spinach and half of the parmesan cheese. Transfer mixture to the casserole dish. Top with the remaining parmesan. In a small bowl, stir together the melted butter and panko breadcrumbs. Sprinkle over the casserole and bake for 20 minutes. By far the best way to get rid of your left over Halloween candy! With only 2 main ingredients, you can add any candy toppings you like. 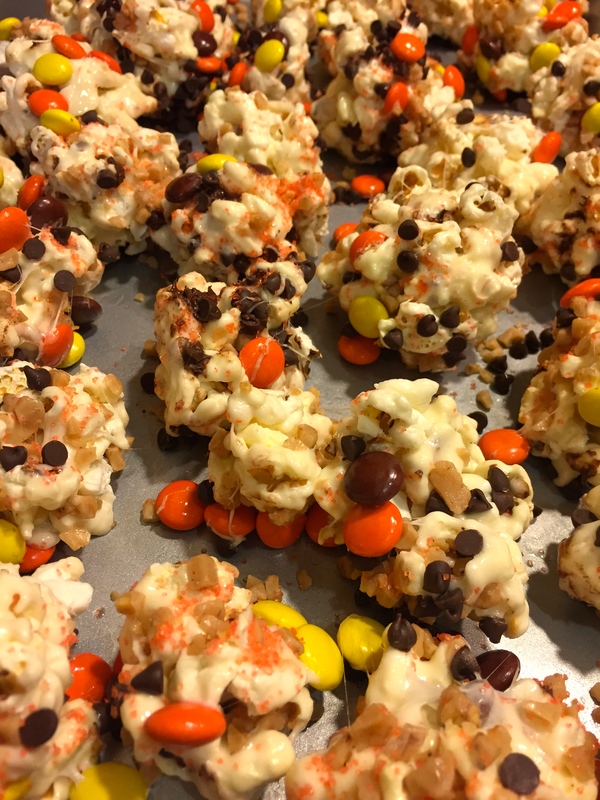 These no-bake marshmallow popcorn treats will be a hit at any party! Pop popcorn in the microwave, about 2 bags worth. In a medium saucepan, heat the butter over low heat. Add the vanilla extract and marshmallows. Stir constantly until the marshmallows have melted and the mixture is smooth, about 5 minutes. Pour the melted marshmallow mixture over the popcorn. Using a spatula, sprayed with cooking spray, stir until the popcorn is coated. Spread the mixture over the prepared baking sheet. Sprinkle with the reese’s pieces, mini chocolate chips, heath bar bits and sprinkles. Using a spatula, gently press the toppings into the popcorn. Allow the mixture to dry for 1 hour. Roll into balls of various sizes and store airtight in a plastic container.